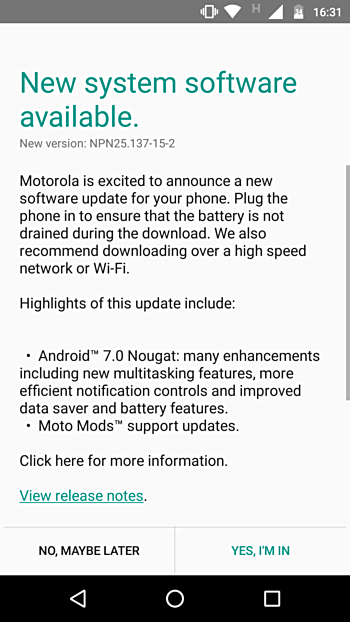 The Motorola Moto Z Play Android Nougat update availability has expanded to a couple of new markets. The update is now hitting Indian units as version NPN25.137-15-2. For those in the US waiting for the update, roll out there will begin sometime next month. 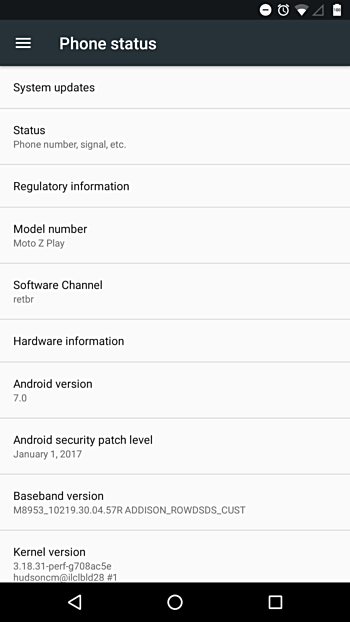 Recently, Motorola Germany had also said that the Moto Z Play update has been delayed, and will be rolled out in March. Updated.LTE disconnect frequently.using reliance jio network.